An effective web-based CRM system can help determine the quality of leads generated by a Google Adwords campaign. 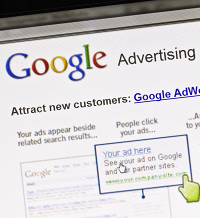 Google Adwords is clearly one of the world’s leading advertising media, offering enormous potential for a more level playing field between SMEs and larger competitors. It is therefore a real shame that many firms are still struggling to quantify the benefits. Getting lead generation right is a fundamental component of the marketing activity. And, for marketers under increasing pressure to prove ROI, Google Adwords is compelling, with its analytics, tips and tricks for optimisation and refinement. But lead generation is not sales. Are the leads within the company’s key target markets and geographies? Do they convert into the expected sales pipeline at the ratio expected? What proportion of leads result in closed deals? Undertaking this exercise at Workbooks revealed that we have never been able to make Google Adwords work. Using a web-based CRM to track the leads throughout the sales process is a sure fire way to determine an accurate ROI. Stage one: Marketing Qualified Leads (MQLs) – those that meet the basic qualification criteria, such as geographic region or size of company. Stage two: Sales Accepted Leads (SALs) or Sales Qualified Leads (SQLs), those leads that meet most of the normal BANT qualification rules – Budget, Authority, Need and Timescale. Stage Three: Track the progress of the lead through the sales process towards conversion. Stage Four: Close the deal.